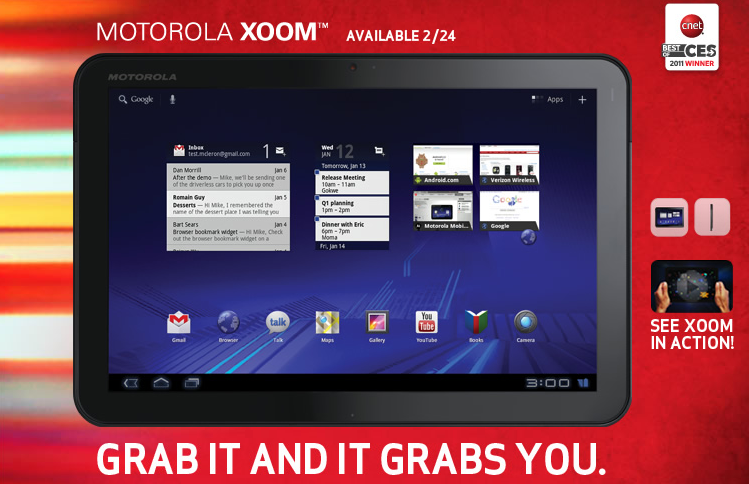 Not that this should come as a surprise to anyone, but the Motorola XOOM will launch on Verizon, February 24. The landing page at Big Red’s site has been updated as of a few minutes ago showing “AVAILABLE 2/24”, so we’ll probably wake up in our west coast beds to a shiny little press release. Yah, Thursday! Update: I tweeted this pic last week which clearly states that Flash will not be available. Sorry folks, you should have known this days before this if I was on top of my game.